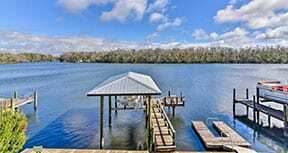 Crystal River is a terrific vacation destination year round. Know mostly for it’s manatee population, it also is a terrific place for scalloping in Florida. Scalloping Crystal River is a fun relaxing way to spent time on the water. A great family activity, old and young alike can participate. Spend your warm summer days in the cool waters. Dive into the crystal clear waters catch the excitement as you reap the treasures of the sea. The same waterway that hosts a year round manatee population of about 35-40 besides the 400 or more manatees that visit in the winter, emptys in to the Gulf and forms a great natural habitat for scallops. The town of Crystal River offers scallopers great hotel accommodations, licensed scalloping guides, and dive shops to provide all your scalloping gear. It also has great shopping, hiking, bicycling, bird watching, and more. If you are bringing you own boat to go scalloping, check out the Crystal River boat ramps. 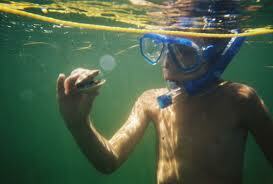 Bird’s Underwater Dive Shop’s experienced staff can help you with all your snorkeling equiptment. And don’t forget to stop by All About Nature in the Crystal River Mall for unique gifts. Crystal River’s restaurants range from kid-friendly family restaurants and diners to fine dining establishments offering French and Italian cuisine. Listen to great music at some of Crystal River’s bar and pubs.